With a mix of still photographs, rare video clips, interviews and more, Maya Angelou: And Still I Rise is an informative, moving and compelling story about one of the most phenomenal women in American history. We all know Maya as a writer, but she was also a dancer, mother and activist. 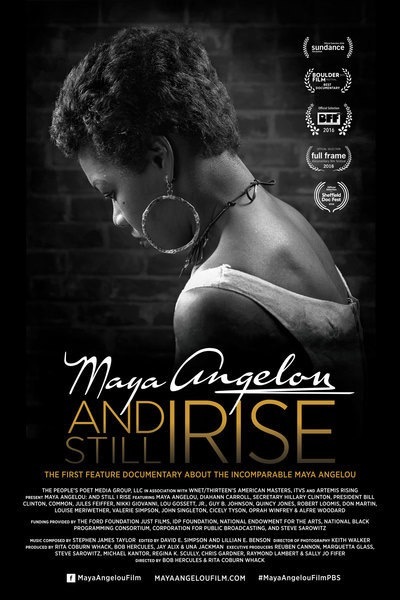 Made as a film for thenPBS series, American Masters, the film Maya Angelou: And Still I Rise has been popping up at film festivals and will be playing in select theaters across the country during the Fall of 2016 before its debut on PBS in the Winter of 2016. I came into the film thinking that I knew a lot about Maya Angelou. I knew that she had been sent away from her Mother at a young age, that she had been raped as a child, that she had been married several times. I had no idea that she had been an exotic dancer, had recorded with rappers, was in a show on Broadway, directed a film and was a special guest on Sesame Street. 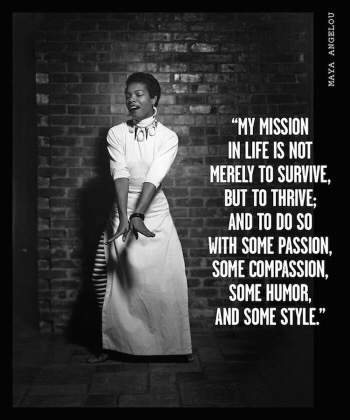 The photos, video clips and interviews that have been compiled to tell Ms. Angelou’s story are nothing short of stunning. The breadth and depth of the coverage and the tender touch that the filmmakers have taken is exquisite. Lyrical and poignant, the intermingled interviews add new voices to Angelou’s story. The film ends with a segment on Maya Angelou’s experience writing the inaugural poem, On the Pulse of the Morning for Bill Clinton. Segments of Angelou reading the piece are interspersed with interviews of both Bill and Hillary Clinton. This film isn’t just about an African American woman who transcended her station, and it isn’t just about a really good poet. It’s about the power of language, the importance of social action and a true celebration of one of the most important American figures of our lifetime. Three cheers to the Houston Cinema Arts Festival for giving Houston two chances to see the film on the big screen.